In one of this year's Alumni College classes, we learned that the Ornate Box Turtle has "extreme site fidelity." Apparently, so do Grinnellians. This year, more than a thousand of our alumni and friends migrated back to their home on the prairie. 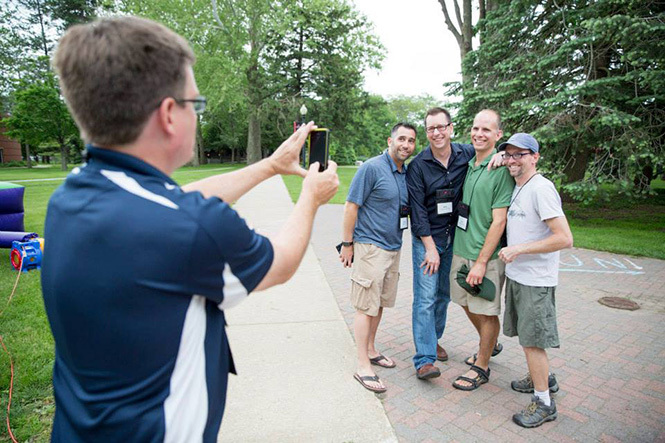 Relive the moments of the 2015 Reunion with the social media album. The Alumni Assembly program, a highlight of the weekend, includes recognition of the newest Alumni Award recipients. Plan for your NEXT Reunion! Check out our Reunion calendar to plan for your next chance to reunite with your class. And remember, if you would like to come back and it isn't your Reunion year, you are still welcome to attend. All Grinnellians are welcome at every Reunion!